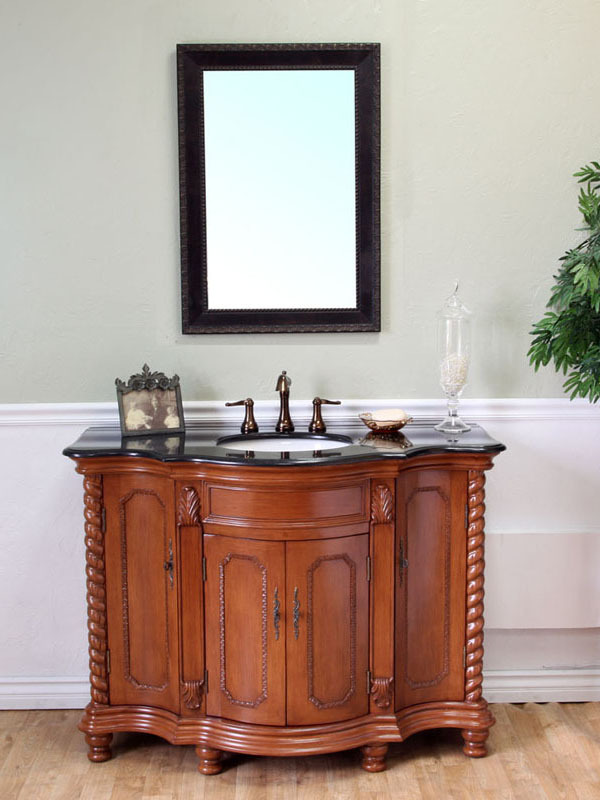 The Whinfell Single Vanity features wonderful antique style details with its beveled faces, ribboned apron and spiraled front edges. 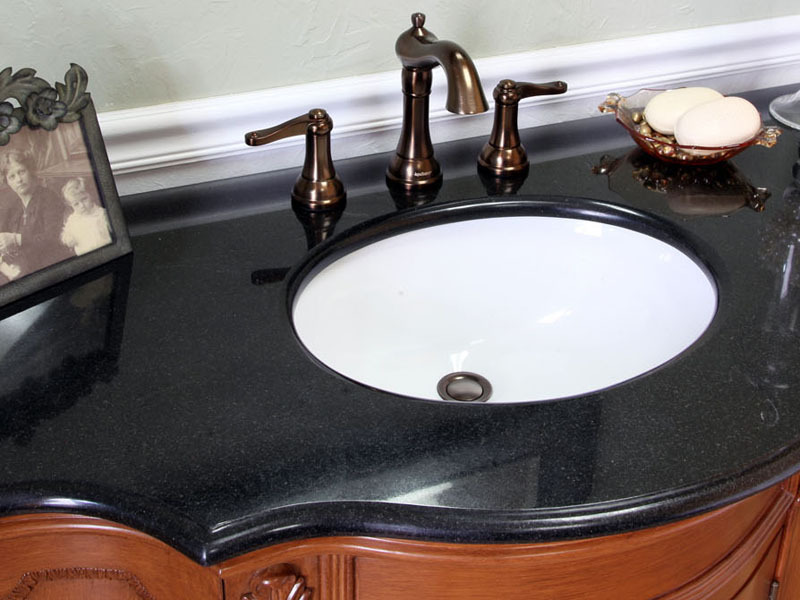 The Light Walnut finish adds warmth and charm to the vanity, while the Black Galaxy granite counter top adds a touch of luxury. 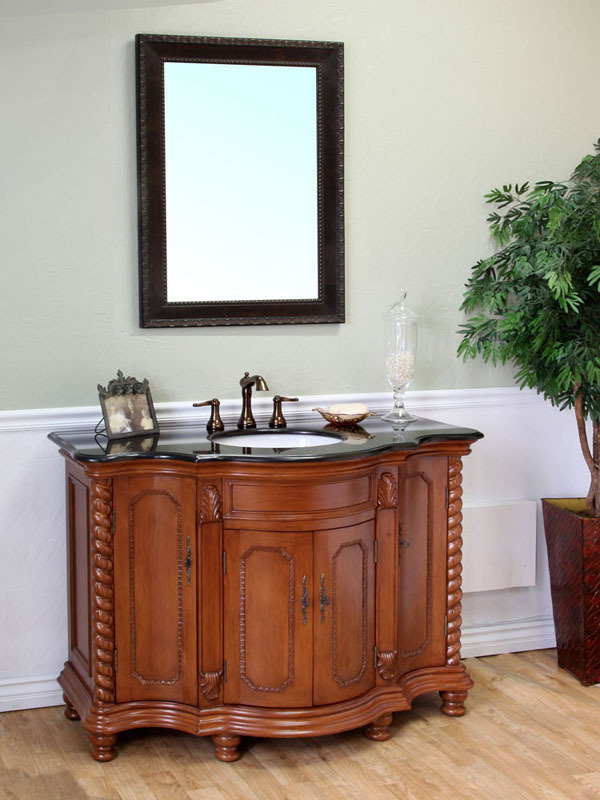 The finish is not only great looking, it is water proof as well, protecting the vanity's wood from humidity. 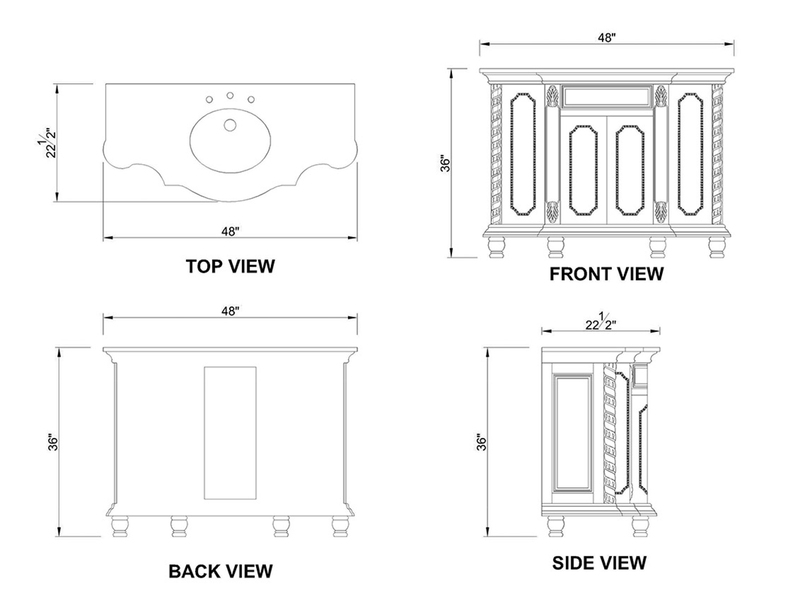 The vanity sports three cabinet areas, providing lots of options for storing and organizing your bathroom accessories. 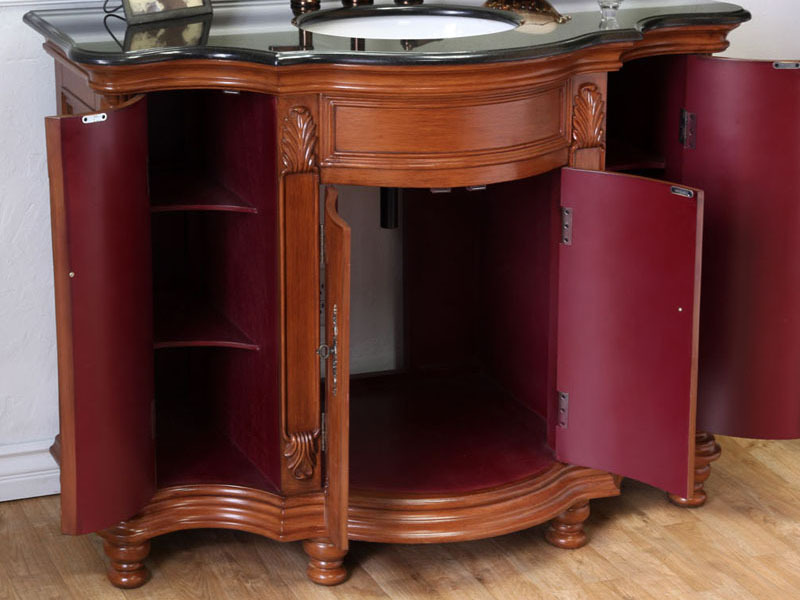 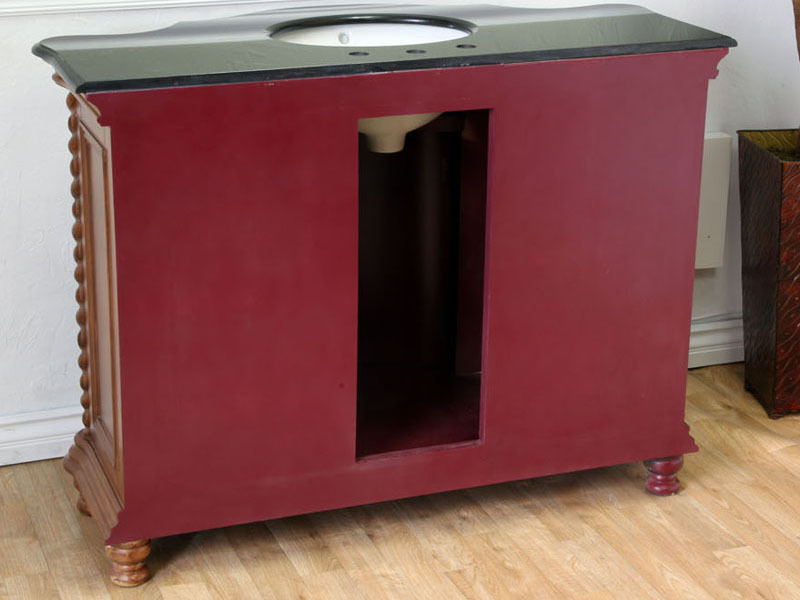 The vanity includes an undermounted UPC sink (faucet not included). 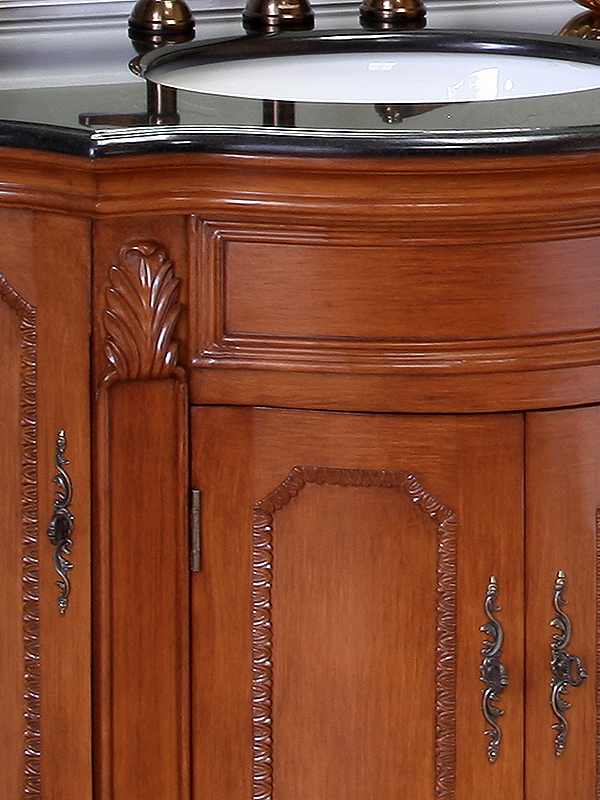 An optional matching backsplash is also available for this vanity through the drop-down menu.